The Senate passed a new energy bill late Thursday night that among other things will require the first major increase in fuel economy standards in two decades and includes a hefty renewable fuels standard (see previous post). The media has already begun calling the energy bill "sweeping" and "broad" and is hailing the bill's passage as a "victory" for Senate Democrats and clean energy advocates. The increase in fuel economy standards is LONG overdue, and is a common-sense, effective and economic step towards reducing our oil dependence. 35 mpg by 2020 is not bad (I'll discuss the fuel economy standards a bit more later - we certainly could have been more aggressive). It will mean a significant decrease in oil consumption and a corresponding decrease in greenhouse gas emissions from the transport sector and will do both while saving Americans money. Democrats do deserve credit for fighting off strong opposition from the auto industry to keep the 35 mpg by 2020 standard intact despite several proposals that would have weakened the standard. Additionally, the new standards close both the SUV loophole and the 'buy a hybrid, save a hummer' scenario that plagues current CAFE standards, two clear improvements in policy. The new CAFE standards should be considered a clear victory. The renewable fuels standard will help reduce fossil fuel dependence and reduce global warming emissions ... somewhat. I'm not a big fan of expanded use of corn-based ethanol - it offers only marginal fossil fuel use and greenhouse gas emissions reductions while driving up food costs and sucking up subsidies that could be better spent elsewhere. However, the new 36 billion gallon renewable fuels standard does specify that at least 60% of the standard must be met by "next generation" biofuels such as cellulosic ethanol, which offers considerable fossil energy and greenhouse gas reductions compared to gasoline. This provision should provide a strong incentive to invest in cellulosic ethanol production infrastructure, although the absence of the tax package from the bill (more on that below) will mean the financial incentives that should go along with this standard are missing for now. Additionally, the energy bill includes provisions that will help ensure that biofuel production is environmentally sensible - i.e. doesn't increase water or air pollution or greenhouse gas emissions - and specifies that "next generation" biofuels must result in at least a 50% reduction in lifecycle greenhouse gas emissions relative to gasoline. This is smart, as we want to ensure that we don't simply trade one environmentally destructive fuel choice for another. The bill directs the Executive Branch - the Office of Management and Budget (OMB) - to develop and publish an action plan to cut oil consumption in the United States by 2.5 million barrels per day by 2017, roughly equivalent to the total current imports of oil from the Middle East. The amendment also targets a reduction of 7 million barrels per day by 2026 and 10 million barrels per day by 2031. While this is just a plan and not a requirement, the bill does direct and authorize the secretaries of federal agencies - departments of energy, defense, agriculture, etc. - to implement the policies recommended by the action plan and certainly wont hurt matters. This provision essentially calls on the President and his cabinet to utilize existing laws to their fullest extent and will hopefully result in the adoption of proactive policies by the Executive Branch. The bill includes new federal appliance and lighting efficiency standards (although I don't know what the details are yet, so I'm not sure if they go far enough; they're certainly a step forward at the very least) which will help Americans save energy and money at home and at work. The bill includes expanded support for research, development and deployment of electric drive vehicles, including plug-in hybrid vehicles as well as research into light weight vehicle construction materials and other technologies to reduce vehicle energy consumption. While I still think the federal government should be more aggressive in promoting the development of plug-in hybrid vehicles - my pick for best short-to-medium term solution to slash oil use and greenhouse gas emissions from the transport sector - this is also a good step in the right direction. The bill also deserves a bit of praise for what stayed out of the bill: no support for coal-to-liquids synthetic fuel production and no support for expanded coal, nuclear or oil use. We need to be moving away from business-as-usual energy sources and on to a new, sustainable energy future, and while it falls a bit short, the energy bill at least keeps us from expanding our dependence on fossil fuels. Still, the energy bill is only a partial victory in my mind. It does a good job of addressing the transportation sector - with increased fuel economy, biofuels and electric drive vehicles provisions - but it largely ignores the electricity sector, the other major contributor to U.S. global warming pollution. Despite receiving support from a majority of senators, a minority of senators blocked the 15% by 2020 renewable energy standard proposal that would have helped our electricity sector transition away from fossil fuel dependence and towards renewable energy independence. Developing our nation's abundant, homegrown renewable energy resources is critical to the development of a sustainable energy future, and the absence of this key provision from the Senate energy package dings it a few points in my mind. Also missing is an equally crucial package of tax incentives, loans and other financial incentives that would support a variety of clean energy technologies, from wind, solar, geothermal and other sources of renewable electricity to advanced biofuels, electric drive vehicles and carbon capture and storage technologies. A $32 billion tax package that would have shifted subsidies from the oil and gas industry to support renewable energy, energy efficiency and other clean energy technologies was left out of the bill, again blocked by a minority of senators. This is a major disappointment and leaves the Senate energy bill incomplete - it lacks the financial incentives to push forward the clean energy technologies we'll need to achieve the standards in the bill and truly put America on a path to a sustainable energy future. Finally, while we're finally moving in the right direction with a 35 mpg by 2020 fuel economy standard, and it was all Democrats could do to preserve that standard, as the following graph (courtesy of Green Car Congress) illustrates, it really isn't that impressive when you look at fuel economy standards in the rest of the world, and even right here in several U.S. states. 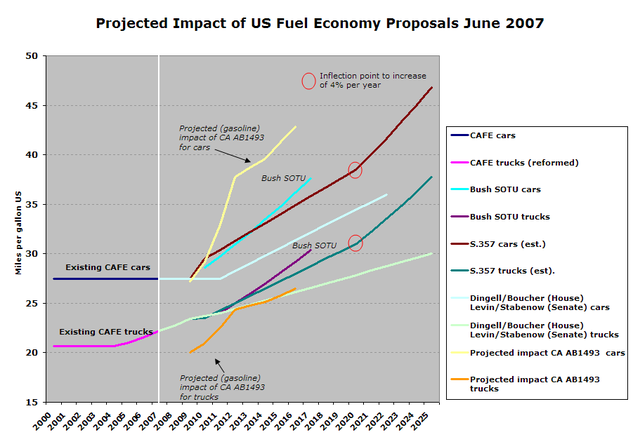 As the graph above illustrates, even with the 35 mpg by 2020 standard, in thirteen years American fuel economy standards will be at about where China and Japan are today, the EU was five years ago and where the states that adopt California's tailpipe standards will be in just five years. In summary, the bill is clearly a step forward - it avoids backsliding, doesn't shower any more money on the oil, coal and nuclear industries, includes several long-overdue provisions and deserves credit for what it does include. But it's a long way from the 'giant leap forward' in energy policy we truly need at this point. I was hoping for an A+ - a truly comprehensive energy package that sets America on a course for a new, sustainable energy future. Indeed, I think Americans are demanding just such a bill: we're fed up with Congress doing little to fight America's oil addiction, end our reliance on fossil fuels and do something about the climate crisis. This bill will help each of those pressing issues, but falls short of a comprehensive solution. Energy bill passes Senate with renewable fuels standard and fuel economy provisions but lacks important tax provisions and a renewable energy standard. In what can at best be considered a partial victory for clean energy advocates and the Democratic leadership, the Senate passed a stripped down energy package last Thursday night. Shortly before midnight, the Senate voted 62-32 to end debate on the bill, HR 6, and then quickly passed the bill with a 65-27 vote. While a compromise was reached that preserved a 35 miles per gallon (mpg) by 2020 increase in fuel economy standards, the first major increase in fuel economy standards in two decades, the final energy bill was far from the 'comprehensive' energy package Senate leaders had originally promised. The bill ultimately excluded an important tax package that would have shifted $32 billion in tax incentives from the oil and gas industry to support alternative and renewable energy and energy efficiency. It also left out a renewable energy standard requiring electric utilities to obtain at least 15% of their electricity from renewable energy sources (see previous post). In a parliamentary maneuver to block more controversial proposals, Senate Republicans required cloture votes on nearly every amendment offered to the energy package as well as on the final vote to approve the bill itself, meaning that any amendment needed 60 votes to pass (enough to block a threatened filibuster). Thus, while both the tax package and the renewable energy standard had support from a majority of senators, both provisions were left out of the final bill. The tax provision (Amendment 1704) fell just three votes shy of the 60 needed to reach cloture (it failed 57-36). An amendment offered by Senator Jeff Bingaman (D-NM) that would have created a nationwide renewable energy standard for electric utilities never received an up or down vote, although all indications are that it was also just a few votes shy of 60 and was supported by a majority of senators. Bingaman had circulated a compromise energy standard proposal (pdf) on Wednesday seeking to shore up support for the standard, but Republicans blocked this compromise as well. The revised energy standard amendment would have moved the 15% renewable energy target back two years to 2022 and would have given individual states the option of allowing their utilities to meet up to 4% of the standard with energy efficiency investments rather than renewable energy generation (making it a 4% energy efficiency and 11% renewable energy standard by 2022). Debate over the national renewable energy standard will now shift to the House where debate on a 20% by 2020 standard is expected. A resurrected Senate proposal could also be attached to future energy legislation later this session and both Senator Bingaman and Senator Reid have pledged to continue pushing for a national renewable energy standard this session. Despite these disappointments environmentalists [and anyone concerned about climate change!] scored a victory by keeping support for coal-to-liquids (CTL) synthetic fuel production out of the final energy bill. Two competing CTL amendments failed on Tuesday (see previous post), and the final bill moved without any tax incentives or fuel standards for CTL fuel. Environmentalists and several progressive grassroots groups have been pushing hard to keep CTL out of the bill (see previous post), arguing that CTL fuels will exacerbate global warming pollution and involves expanded strip mining and mountain top removal, environmentally destructive practices used to mine coal. First Fuel Economy Standard Improvement in Decades; Closes "SUV Loophole"
The most notable provision in the final energy bill is a first major revision to corporate average fuel economy (CAFE) requiring automakers to increase the average fuel economy of their vehicles to 35 mpg by 2020. The new standards would for the first time establish a single fleet-wide fuel economy standard applicable to both cars and light trucks and SUVs, closing the so-called 'SUV loophole' that sets separate, lower standards for SUVs and light trucks. Cars are currently required to average 27.5 mpg and SUVs and light trucks - which now account for roughly half of all new vehicle sales - are required to average only 22.2 mpg. Fleet-wide average fuel economy requirements are therefore roughly 25 mpg. The new standards would require an overall fleet-wide average - including both cars and light trucks - of 35 mpg by 2020, an increase of roughly 10 mpg in 10 years. The minimum fuel efficiency requirement would vary for different classes of vehicles based on vehicle weight and size, but all vehicle classes would be required to increase their fuel economy by 10 mpg over today's levels by 2020 and manufacturers would be required to meet an overall fleet-wide average of 35 mpg. The vehicle classes will be established by the Department of Transportation’s National Highway and Transportation Safety Administration (NHTSA). Creating several new attribute-based vehicle classes should also help end the 'buy a hybrid, save a hummer' syndrome (see previous post). Currently, with only two vehicle classes - one for cars and one for light trucks - purchasing efficient vehicles on the leading edge of a vehicle class - a hybrid Toyota Prius or Ford Escape for example - essentially amounts to a 'free pass' for auto manufacturers to crank out more gas guzzling SUVs and luxury sedans at the trailing edge of a vehicle class. Creating several separate vehicle classes will help end this counterproductive scenario. The new fuel economy standards apply to all light duty vehicles up to 10,000 pounds in weight and applies to model years 2011 and beyond. The original fuel standard proposal had called for a 4% annual increase in fuel economy standards for each year after 2020. This requirement was dropped in a bi-partisan compromise aimed at shoring up support for the 35 mpg standard in the face of a much weaker automaker-backed proposal offered by Michigan Senators Levin and Stabenow. Car manufacturers had lobbied ferociously to fight the 35 mpg standard and backed the weaker Levin-Stabenow proposal which would have created a 30 mpg by 2022 standard and kept the separate standards for cars and light trucks. The bill now says that from 2021 to 2030, NHTSA must set fuel economy standards that are "the maximum feasible" and ratchet these standards up at a reasonable rate, without specifying a specific rate. Finally, while not specifying a particular efficiency standard, the energy bill directs NHTSA to develop and require improvements in the fuel economy of medium and heavy duty vehicles over a 20 year period as well. Environmental groups and Democratic Senators, though disappointed by the setbacks on renewable energy, nevertheless hailed the vote on higher mileage requirements as a long-sought victory that could eventually reduce American gasoline consumption by more than 1 million gallons of gasoline a day and cut greenhouse gas emissions from the transportation sector. “Today, the Senate roundly rejected the automobile industry’s scare tactics,” said Michelle Robinson, director of the Union of Concerned Scientists’ clean vehicle program. In addition to increasing fuel economy standards, the energy bill calls for dramatic expansion in the use of renewable fuels including ethanol and biodiesel. The energy bill establishes a renewable fuels standard of 36 billion gallons per year by 2022. The standard includes a requirement for advanced biofuels, which does not include ethanol derived from corn starch, to meet 60% of the total renewable fuel requirement by 2022. However, without the tax package that would have provided tax breaks and subsidies to support the development of renewable fuels infrastructure, the bill is missing the package of financial incentives intended to support this renewable fuels standard. The final energy bill includes an amendment offered by Senator Bingaman and passed on Wednesday that contains a number of provisions to make sure biofuel production would remain environmentally sensible. These provisions call for studies on environmental impacts of biofuels and include a requirement that advanced ("next generation") biofuels have "life cycle" global warming emissions at least 50 percent less than that of conventional gasoline. The biofuels standard received major support from lawmakers from farm states, which already benefit from government supports for corn-based ethanol and stand to gain even more by expanded support for both conventional and advanced biofuels such as cellulosic ethanol made from agricultural residues like corn stover or dedicated energy crops like switchgrass. Farm state Senators, many of them Republicans, also lobbied hard with their colleagues to drop their opposition for the tax package which would have expanded tax incentives for biofuels as well as wind power development, much of which is centered in mid-West and Western states. Calls for a new a consumer labeling program that includes greenhouse gas emissions along with fuel economy ratings. Calls for ensuring that 50% of vehicles sold in the US are alternative fuel vehicles by 2015, including but not limited to flex-fuel vehicles, hybrids, electric vehicles, fuel cells and others. Anti-price-gouging provisions that unlawful to charge an "unconscionably excessive" price for oil products during a time of designated national emergency. A controversial provision known as "NOPEC" that makes it illegal for foreign governments to engage in oil or gas price cartels - e.g. OPEC - and allows the Attorney General to bring foreign governments to court for violations. (This provision is largely symbolic but is nonetheless controversial and may invoke a veto from President Bush who warns it will harm relations with Middle Eastern states). New appliance and lighting efficiency standards. A requirement that the federal government purchase at least 15% of its electricity from renewable energy sources by 2020 and accelerate the use of more efficient lighting in public buildings. Establishes a public program and funds other initiatives that provide training for jobs that are created through renewable energy and energy efficiency initiatives with authorized funding of $100 million per fiscal year. Electric-Drive Transportation Program to promote the development of plug-in electric vehicles, deploying near-term programs to electrify the transportation sector, and including electric drive vehicles in the fleet purchasing programs. Gives the U.S. Secretary of Energy authority to establish 'national interest transmission corridors' for clean energy; expands the “federal backstop” transmission siting role given to the Department of Energy and the Federal Energy Regulatory Commission in the Energy Policy Act of 2005. Directs the Executive Branch to develop and publish a plan to reduce oil consumption by 2.5 million barrels per day by 2017, 7 million barrels per day by 2026 and 10 million barrels per day by 2031. Green Car Congress has a full list of the literally hundred plus amendments offered to the energy package in the Senate including the results of any votes on these amendments. The energy package now awaits action by the House which is expected to begin debating energy legislation next week. However, after facing a storm of criticism and division within their own caucus, House Democratic leaders agreed on Monday to drop the most controversial issues from this summer's energy bill debate, including CAFE standards, support for coal-to-liquids fuel and perhaps the national renewable energy standard as well. In a memo circulated among Energy and Commerce Committee members on Monday, Chairman John Dingell (D-MI) wrote that several issues floated by the committee in a draft earlier this month need more consideration, according to Energy and Environment Daily (subscription required). "These issues are important, and we are committed to addressing them and others when we take up comprehensive climate change legislation in the fall," Dingell wrote. "This will also give us the needed time to achieve consensus on these issues if at all possible." Translation: Congressman Dingell has apparently decided to effectively punt until later in the year the entire fuels title, which contained an alternative fuels mandate, a low-carbon fuel standard, a boost in corporate average fuel economy (CAFE) standards and coal-to-liquids provisions. The move comes after two weeks of closed-door negotiations among senior Democrats, some of whom vigorously objected to the proposed language. In particular, many Democrats -- among them Speaker Nancy Pelosi (D-Calif.) -- said they would not support a bill that contained language the would block California and other states from setting their own GHG emissions rules for motor vehicles. The controversy on this and other issues forced the committee to postpone a markup of Dingell's draft legislation, and Pelosi and Dingell had been meeting over the last few days in an effort to hash out a compromise. According to Dingell's memo, Pelosi has signed off on the deal and thinks the pact could pave the way for smoother passage of a summer energy package. It therefore looks like both the Senate and House energy bills will be missing important clean energy provisions with the House measure likely to include some provisions absent from the Senate version - most notably a package of clean energy tax incentives - and vice versa - the Senate bill includes CAFE standards and a renewable fuels standard. This will leave a lot of details up to conference committee later this year which will be tasked with syncing up the House and Senate energy packages. And to add further uncertainty to the mix, a presidential veto is still a real possibility, depending on what provisions are present whatever energy package finally passes Congress. President Bush has said that while he supports the biofuels standard, he is unhappy with much of the Senate proposal, particularly the CAFE standards, the anti-price gouging provisions and the "NOPEC" amendment. The White House said the president would be urged to veto an energy bill that includes the price-gouging measures, arguing that they amount to price controls. The president also repeatedly has said he opposes Congress mandating a specific mileage number for auto fuel economy. Bush believes the Transportation Department should be given increased flexibility to set a standard. China's annual greenhouse gas emissions seem to have passed the United States'. The U.S. will long remain largest cumulative contributor to global warming though. The surprising announcement will increase anxiety about China's growing role in driving man-made global warming and will pile pressure onto world politicians to agree a new global agreement on climate change that includes the booming Chinese economy. China's emissions had not been expected to overtake those from the US, formerly the world's biggest polluter, for several years, although some reports predicted it could happen as early as next year (see previous post). But according to the Netherlands Environmental Assessment Agency, soaring demand for coal to generate electricity and a surge in cement production have helped to push China's recorded emissions for 2006 beyond those from the US already. 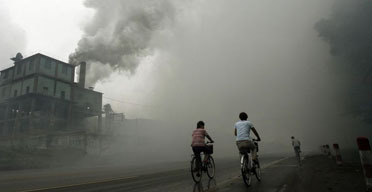 [The Agency] says China produced 6,200m tonnes of CO2 last year, compared with 5,800m tonnes from the US. Britain produced about 600m tonnes. Jos Olivier, a senior scientist at the government agency who compiled the figures, said: "There will still be some uncertainty about the exact numbers, but this is the best and most up to date estimate available. China relies very heavily on coal and all of the recent trends show their emissions going up very quickly." China's emissions were 2% below those of the US in 2005. Per head of population, China's pollution remains relatively low - about a quarter of that in the US and half that of the UK. The new figures only include carbon dioxide emissions from fossil fuel burning and cement production. They do not include sources of other greenhouse gases, such as methane from agriculture and nitrous oxide from industrial processes. And they exclude other sources of carbon dioxide, such as from the aviation and shipping industries, as well as from deforestation, gas flaring and underground coal fires. Dr Olivier said it was hard to find up to date and reliable estimates for such emissions, particularly from countries in the developing world. But he said including them would be unlikely to topple China from top spot. "Since China passed the US by 8% [in 2006] it will be pretty hard to compensate for that with other sources of emissions." To work out the emissions figures, Dr Oliver used data issued by the oil company BP earlier this month on the consumption of oil, gas and coal across the world during 2006, as well as information on cement production published by the US Geological Survey. Cement production, which requires huge amounts of energy, accounts for about 4% of global CO2 production from fuel use and industrial sources. China's cement industry, which has rapidly expanded in recent years and now produces about 44% of world supply, contributes almost 9% of the country's CO2 emissions. Dr Olivier calculated carbon dioxide emissions from each country's use of oil, gas and coal using UN conversion factors. China's surge beyond the US was helped by a 1.4% fall in the latter's CO2 emissions during 2006, which analysts say is down to a slowing US economy. The announcement comes as international negotiations to produce a new climate treaty to succeed the Kyoto protocol when it expires in 2012 are delicately poised. The US refused to ratify Kyoto partly because it made no demands on China, and one major sticking point of the new negotiations has been finding a way to include both nations, as well as other rapidly developing economies such as India and Brazil. Tony Blair believes the best approach is to develop national markets to cap and trade carbon, which could then be linked. Earlier this month, China unveiled its first national plan on climate change after two years of preparation by 17 government ministries (see previous post). Rather than setting a direct target for the reduction or avoidance of greenhouse gas emissions, it now aims to reduce energy consumption per unit of gross domestic product (GDP) by 20% by 2010 and to increase the share of renewable energy to some 10%, as well as to cover roughly 20% of the nation's land with forest. But it stressed that technology and costs are major barriers to achieving energy efficiency in China, and that it will be hard to alter the nation's dependency on coal in the short term. What China needs, said a government spokesman, is international cooperation in helping China move toward a low-carbon economy. Chinese industries have been hesitant to embrace unproven clean coal and carbon capture technologies that are still in their infancy in developed countries. If China has now passed the United States as the largest annual global warming polluter, it does nothing to absolve the United States of the moral and pragmatic responsibility to act swiftly and decisively to rein in our greenhouse gas emissions. We in the U.S. will still be the second largest global warming polluter in the world, not exactly a comfortable position; and we will long remain the largest single contributor to climate change, as cumulative greenhouse gas emissions drive climate change, not annual emissions, and we will long remain the largest cumulative emitter. To me, China's now larger role in global CO2 emissions simply highlights the urgency of taking a leadership position in the United States - enacting real reforms to rein in our greenhouse gas emissions in the United States and do our share to solve this global crisis - so that we may turn to addressing the global community, particularly China and India, in a global solution. Contrary to President Bush's usual line of argument, pointing at China's growing emissions does nothing to absolve the United States of it's responsibility act to solve the climate crisis; rather it points to the urgent need to both enact smart domestic policies and lead a global response to this global crisis, and time is clearly running out. Wave energy legislation that would invest approximately $200 million in federal funds to advance research and development of wave energy technologies over the next four years. Would fund national wave energy research center, likely in Oregon. The U.S. House of Representatives Science and Technology Committee has approved, by voice vote, renewable energy legislation that would invest approximately $200 million in federal funds to advance research and development of wave energy technologies over the next four years. The Marine Renewable Energy Research and Development Act of 2007 (H.R. 2313 [PDF]) would authorize $50 million for each of the fiscal years 2008 through 2012 for the U.S. Department of Energy (DOE) to award grants to advance research, development, demonstration and commercial application of ocean energy. Federal support for innovative research to develop new energy technologies is critical to encourage private sector investments and to reduce the financial risk associated with making renewable energies commercially viable. "America has the tools, expertise and ingenuity to harness the untapped energy found just off our shores," said Representative Darlene Hooley (D-OR), a member of the House Science and Technology Committee and author of H.R. 2313. "Similar to how we helped the wind energy industry get off the ground by providing production tax credits, Congress today made the first significant investment in what is projected to be a promising nonpolluting energy source." During the past 30 years, the DOE and its industry partners have contributed to technological improvements that reduced the cost of wind energy production by more than 80 percent, resulted in more than 235 solar energy patents, and created 106 biorefineries to supply oil refineries with ethanol to oxygenate gasoline. Similarly, with the passage of this legislation, the DOE is expected to help reduce the barriers for commercial wave energy production. Last month, the Science Committee heard testimony from Annette von Jouanne, a professor of power electronics and energy systems in the Oregon State University, College of Engineering. Von Joanne, who was invited to speak by Congresswoman Hooley, outlined the technological obstacles that have to be overcome in order to commercialize wave energy, the ways that streamlined permitting and agency cooperation could help, and the need for more environmental and ecological studies. "Things are really picking up speed now," said von Jouanne last month. "The public, political and agency leaders are understanding how electricity produced by waves could be a significant contributor to our energy portfolio, and people are beginning to see the value of a focused, national center to move research forward." Wave energy, thought to be more available and more predictable than other forms of renewable energy, provides higher energy densities, with scientists estimating that only 0.2% of the ocean's total wave energy would be necessary to provide sufficient power for the entire world. "To meet the nation's rising demand for energy, reduce our economic and national security vulnerability to crude oil supply disruptions, and minimize adverse environmental effects, Congress is stimulating the development of a diversified energy portfolio by funding R&D projects that set to explore advanced renewable energy technologies," noted Hooley. H.R. 2313 now heads to the full House for further consideration. Hooley will advocate for its inclusion in a larger, comprehensive Energy Independence package that is expected to be considered by the House in July. The new bill calls for the establishment of one or more national wave energy research centers. At least one of them must be chosen " from among sites that host an existing marine renewable energy research and development program in coordination with a public university engineering program." Translation: the center must be located at Oregon State University, the only public university engineering program with an existing marine energy R&D program out there. OSU, Oregon Governor Ted Kulongoski and Oregon's congressional delegation have been pushing for federal funds to establish a federal wave energy research center since last year as part of their effort to establish Oregon as the North American center of the nascent wave energy industry (see previous post). Senate rejects both Republican and Democrat-sponsored amendments to support the expanded use of coal-to-liquids synthetic fuel. As the Senate continues debate today on the comprehensive energy package today (see previous posts here and here), two controversial amendments that would have supported the expanded use of coal-to-liquids fuels were voted down by a hefty margin. The first proposal, submitted by Senators Pete Domenici (R-NM) and Jim Bunning (R-KY) offered an coal industry-backed proposal that would create a national coal-to-liquid fuels standard that reaches 6 billion gallons by 2022. Aiming to quell debate about the environmental impacts of coal-to-liquids (CTL) fuel (see previous post), the Domenici/Bunning plan (Amendment 1628) would have required a 20% reduction in lifecycle greenhouse gas emissions compared to conventional gasoline. The amendment died on a 39-55 vote with several moderate/greener Republicans joining every Senate Democrat in opposing the amendment. The proposal from the Democrat's side (Amendment 1614), porposed by Senators Jeff Bingaman (D-NM) and Jon Tester (D-MT), offered a $10 billion proposal to provide loans for carbon capture and storage equipment on coal-to-liquids plants. Eligible plants would have to capture and store at least 75% of their carbon dioxide emissions and produce fuels with lifecycle greenhouse gas emissions that are 20% lower than equivalent conventional fuels (synthetic diesel would be compared to diesel, synthetic gasoline to gasoline, etc. rather than the Republican proposal which would compare all CTL fuels to conventional gasoline). The bill would allow biomass to be blended with the coal to lower the lifecycle emissions of the fuel, making the target achievable, though not easy. The high environmental bar apparently frustrated the Republicans, who all voted against this amendment together with the greener Democrats. The end result of this afternoon's debate is that, at least for now, the Senate energy package will move forward without any support for controversial coal-to-liquids synthetic fuels. Future amendments may find a compromise position that sneaks support for CTL into the bill. Finavera Renewables begins construction of AquaBuOY 2.0 wave energy converter; plans to deploy test buoy later this year. Finavera Renewables Inc. has begun construction of their second generation wave energy conversion device, the AquaBuOY 2.0 wave energy converter. Fabrication of the device is being carried out at Oregon Iron Works in Portland, Oregon (see image at right) and will culminate in the planned deployment of the AquaBuOY later this year off the Oregon coast, a Finavera press release. "The construction of the scaled AquaBuOY device is a tremendous accomplishment for our development team. After years of painstaking planning and development work we are now closer than ever to realizing our goals. Work crews are busy bending steel and fabricating components for the device which we plan to test in the ocean this year off the Oregon coast." Test and measurement equipment will be installed on the AquaBuOY to monitor its operational performance. That information will form the basis for the follow-on development work which will lead to plans for the optimization of design and the path to product commercialization. According to previous reports, Finvera plans to deploy their test buoy in partnership with Oregon State University (OSU). During the test deployment, OSU scientists and engineers to explore the technology's potential. OSU has emerged as the leading national research institute for wave energy technology. "The start of construction is a proud moment for Finavera Renewables and illustrates our commitment to providing a new, renewable energy source for future generations. The device construction marks a key milestone in the development of AquaBuOY 2.0. Our next milestone will be the deployment and testing of the device, which we plan to carry out in waters off of Oregon. As we meet each of these milestones, we believe we are getting closer to making ocean energy commercially viable." Finavera recently received a preliminary permit from the Federal Energy Regulatory Committee (FERC) to explore a 100 MW wave energy project off the coast of Coos County, in southern Oregon (see previous post). The preliminary permit is valid for a period of three years, and allows Finavera Renewables to conduct various studies, including analyses of oceanographic conditions, commercial and recreational activities, and other impacts potentially associated with the planned project. The permit allows them to consider a project of up to 100 megawatts. Finavera have also been moving steadily towards deployment of what may be the first operating North American wave energy park in Makah Bay off the northwestern tip of Washington state's Olympic Penninsula for several years (see previous post). Finavera acquired wave energy technology developers AquaEnergy Group, Ltd. and their AquaBuoy technology last year. AquaEnergy Group began the original development of the Makah Bay site, for which they are seeking a full FERC siting permit (not a preliminary permit). Finavera/AquaEnergy recently completed a preliminary environmental impact assessment for the Makah Bay site which is under review (see previous post). The Oregon coastline has emerged as the center of an emerging North American wave energy industry with several companies pursuing preliminary site permits for Oregon wave parks (see previous post). Ice in north-east Greenland is melting an average of 14.6 days earlier than in the mid-1990s, bringing forward the date plants flower and birds lay eggs. The team warned that the observed changes could disrupt the region's ecosystems and food chain, affecting the long-term survival of some species. 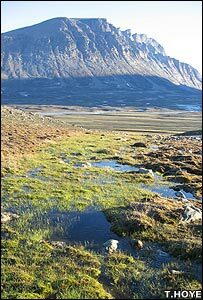 The scientists assessed how a range of species' behaviour was affected by the changing climate in Zackenberg, north-east Greenland, between 1996 and 2005. Observation of 21 species - six plants, 12 arthropods and three birds - revealed that the organisms had brought forward their flowering, emergence or egg-laying in line with the earlier ice melt. "We were particularly surprised to see the trends were so strong when considering that the entire summer is very short in the High Arctic - just three or four months from snowmelt to freeze-up," said co-author Toke Hoye, from the University of Aarhus. "The real deciding factor is that each individual time series has a very close correlation, so it is not just that the average trend is very similar but each species is closely coupled (to the ice melt)." Dr Hoye suggested that the warming in the region, which was occurring at twice the rate of the global average, could affect the future stability of the region's ecosystem. "There could be positive consequences in the short term, and potentially negative consequences in the long term. "At first, this could be regarded as a positive result because it is extending the summer season, which is probably a factor in terms of organisms getting through their development. "Over the long term, it is most likely to be the case that species from southern latitudes will be able to establish themselves (in the region) and increase competition for food." Dr Hoye acknowledged that the 10-year period could be considered by some people as not long enough to reach these conclusions. But he added the changes in behaviour had been observed in a large number of species, and that the findings were considered by independent reviewers who were satisfied by the consistency of the results. "They had hoped for a longer time period, and we did too," he told BBC News. "But until we have managed to gather another 10 years of data, it is relevant to make this point now." He added that the findings, described as the first of their kind for the High Arctic, extended the global picture of changing behaviour among organisms. In August, scientists from 17 nations examined 125,000 studies involving 561 species across Europe. The researchers found a shift in the continent's seasons, with spring arriving an average of six to eight days earlier than it did 30 years ago. Glaciers on the Antarctic Peninsula are accelerating their flow into the sea, contributing to faster sea level rise; a separate UN report finds that the amount of snow and ice, especially in the Northern Hemisphere has dramatically decreased. Hundreds of glaciers on the Antarctic Peninsula (AP) are flowing faster, further adding to sea level rise according to new research published this week in the Journal of Geophysical Research. Global warming, which is already causing increased summer snow melt and ice shelf retreat of the Antarctic Peninsula, is the most likely cause. Using radar images acquired by European ERS-1 and -2 satellites, scientists from British Antarctic Survey (BAS) tracked the flow rate of more than 300 previously unstudied glaciers. They found a 12% increase in glacier speed from 1993 to 2003. These observations, echoing recent findings from coastal Greenland, indicate that the cause is the melting of the lower glaciers, which flow directly into the sea. As the lower glaciers thin, the buoyancy of the ice can lift the glaciers off their rock beds, allowing them to slide faster. "We attribute this widespread acceleration trend not to meltwater-enhanced lubrication or increased snowfall," the report said, but rather "to a dynamic response to frontal thinning." "We estimate that as a result, the annual sea level contribution from this region has increased by 0.047 ± 0.011 mm between 1993 and 2003. This contribution, together with previous studies that assessed increased runoff from the area and acceleration of glaciers resulting from the removal of ice shelves, implies a combined AP contribution of 0.16 ± 0.06 mm yr-1. 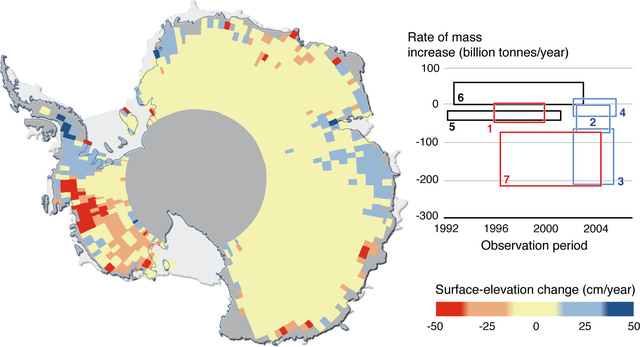 This is comparable to the contribution from Alaskan glaciers, and combined with estimated mass loss from West Antarctica, is probably large enough to outweigh mass gains in East Antarctica and to make the total Antarctic sea level contribution positive. In February this year, the United Nations Intergovernmental Panel on Climate Change (IPCC) reported that they could not provide an upper limit on the rate of sea-level rise from Antarctica in coming centuries because of a lack of understanding of the behavior of the large ice sheets. These new results give scientists a clearer picture about the way that climate warming can affect glaciers both in the Arctic and Antarctic. Furthermore, they pave the way for more reliable projections of future sea level rise, and provide a better basis for policy decisions. The Antarctic Peninsula has experienced some of the fastest warming on Earth, nearly 3°C over the last half-century. Eighty-seven percent of its glaciers have been retreating during this period and now we see these glaciers are also speeding up. It’s important that we use tools such as satellite technology that allow us to monitor changes in remote and inaccessible glaciers on a regional scale. Understanding what’s happening now gives us our best chance of predicting what’s likely to happen in the future. Separately, the UN Environment Program released a comprehensive new report — The Global Outlook for Ice and Snow — showing that the amount of ice and snow, especially in the Northern Hemisphere, has decreased substantially over the last few decades, mainly due to human-made global warming. The declines in snow cover, sea ice, glaciers, permafrost and lake ice will affect hundreds of millions of people, according to the report, with impacts including significant changes in the availability of water supplies for drinking and agriculture, rising sea levels affecting low lying coasts and islands and an increase in hazards such as subsidence of currently frozen land. The report covers all parts of the cryosphere (the world of ice): snow, land ice, sea ice, river and lake ice, and frozen ground. More than 70 scientists from around the world contributed to The Global Outlook for Ice and Snow, which was compiled in part to support the International Polar Year (IPY) running from 2007 to 2008. The peer-reviewed report builds on and in some areas extends the work of the Intergovernmental Panel on Climate Change (IPCC) whose fourth assessment reports were issued between February and May this year. The report also flags up areas in need of further scientific clarity which the IPY, a major international science initiative of the World Meteorological Organization and the International Council for Science of which UNEP is a partner, aims to resolve. These include the likely fate of the Antarctica and Greenland ice sheets where 98 to 99% of the world’s freshwater ice on the Earth’s surface is held. Even just a 20% melting of Greenland and a 5% melting of Antarctica would result in a four to five meter sea level rise. A cloture vote to end a Republican-led filibuster of Senator Jeff Bingaman's Renewable Energy Standard proposal expected on Tuesday; Bingaman unlikely to modify proposed 15% by 2020 standard. The debate over a national renewable energy standard requiring utilities to obtain 15% of their electricity from homegrown, renewable energy sources by 2020 may come to a head next Tuesday. At issue is a proposed amendment to the comprehensive energy package being debated by the Senate this week and next (see previous post). Senate Energy and Natural Resources Chairman Jeff Bingaman (D-NM) has proposed an amendment that would add the 15% by 2020 standard to the energy package, HR.6, but his colleague and ranking Republican on the energy committee, Senator Pete Domenici (R-NM) is leading Republicans in filibustering the proposal. Senator Domenici had offered a competing proposal that would have created a 'clean energy standard' that would have given utilities credit for nuclear power and 'clean' coal investments. That amendment was tabled (killed) yesterday by a vote of 56-39. The opposition to the 15% by 2020 standard is being led by the Southern Company, one of the nation's largest utilities, which supplies power to customers across the Southeast. Utilities in the Southeast contend that their region lacks adequate renewable energy potential to warrant a 'one-size-fits-all' national renewable energy standard and have argued that the 15% by 2020 standard would constitute a large transfer of wealth from the Southeast to renewable energy rich regions like the Great Plains states, Texas and the Northwest. The Southern Company is a powerful lobbying force and has convinced Republican leaders, including Senator Domenici, to oppose the Bingaman amendment. Senator Domenici has threatened to filibuster Bingaman's amendment which would require 60 votes to override in a procedural known as a 'cloture' vote. Supporters of the Bingaman amendment consider the seven Republicans who voted to table Domenici's clean energy standard proposal to be likely supporters of a cloture vote on Bingaman's amendment. However, even if all seven swing Republicans - Senators Collins (R-ME), Grassley (R-IA), Gregg (R-NH), Smith (R-OR), Snowe (R-ME), Specter (R-PA), and Sununu (R-NH) - join all the Democrats in supporting a cloture vote, that leaves Bingaman and his supporters 2 votes shy of the 60 needed to break the filibuster. The list of likely swing Republicans who may be convinced to support cloture also include Senators Brownback (R-KS), Coleman (R-MN), Hatch (R-UT), Lugar (R-ID), and Thune (R-SD), although all five senators voted against tabling Domenici's amendment. Despite the uphill battle to secure the 60 votes necessary to pass the 15% by 2020 renewable energy standard, Bingaman said today he is not inclined to modify his plan to boost renewable electricity production because he would not gain any more supporters, CongressDaily reports [subscription required]. Bingaman said he has not discussed changing the substance of his amendment with Domenici. "I think many on his side who opposed cloture, opposed allowing us a vote, really don't want any requirements imposed on utilities," Bingaman said. "I think they made that pretty clear yesterday." Asked whether he would oppose moving the entire energy package forward if his amendment is not included, Bingaman said, "It's an important part of the bill, and it's very important to keep it in there, and we'll try to find a way to get it in there this next week." A spokesman said Domenici would support the energy bill in its current form, but the inclusion of Bingaman's amendment "would place doubts in his mind and, more importantly, place the bill in jeopardy because we believe other senators that might support the bill would not be able to." Bingaman said he did not know whether a cloture motion would be filed on his amendment to break the Republican filibuster, though lobbyists on both sides of the issue said that was likely. That vote would likely occur next Tuesday, when the next Senate considers HR.6, the energy package. Senate Majority Leader Harry Reid (D-NV) said on the floor today that Bingaman's amendment - along with fuel efficiency standards for cars and incentives for coal-to-liquids production - "are the three big issues" of debate adding, "There has to be some decision of finality made with regard to the pieces of the bill that are so important." Bingaman said staff will continue this weekend working through a list of more than 100 amendments that have been filed. He said he has no plans to limit the number of amendments. CapitalDaily reports that one of those amendments could be the result of discussions Bingaman is having with a trio of coal-state Democrats - Sens. Jon Tester of Montana, Byron Dorgan of North Dakota and Robert Byrd of West Virginia - on adding loan guarantees for coal-to-liquids plants that would be contingent on the level of carbon emissions that could be captured and stored. There has been a continuing push on the part of some senators to include coal-to-liquids and gas-to-liquids as clean and alternative fuels; there is a corresponding pushback by senators who want to keep the coal option off the fuel table. The Senate voted on Tuesday to reject a proposed amendment offered by Senator Inhofe (R-OK) that included support for coal-to-liquids and gas-to-liquids synthetic fuels. The Inhofe amendment was defeated 43-52. Senator Barack Obama, who has been a key supporter of coal-to-liquids technology, recently back-peddled from his previous position after receiving considerable pressure from enivronmentalists and progressive grassroots groups (see previous post). Critics of coal-to-liquids fuels point out that the alternative fuel produces roughly twice as much carbon dioxide emissions as gasoline on a lifecycle basis unless emissions at CTL plants are captured and sequestered beneath the ground. Even if sequestration is employed, an expensive process yet to be proven at commercial scales, the lifecycle greenhouse emissions of CTL fuel ranges from slightly better to moderately worse than gasoline. The Illinois Senator and Democratic presidential candidate now says he will only support coal-to-liquids if the fuel it results in emissions at least 20% lower than gasoline. Some environmentalists and environmental justice activists remain opposed to coal-to-liquids fuels citing the environmentally destructive processes of mining and processing coal, including the large scale strip mining and mountaintop removal commonly employed in the United States coal industry. The Senate is also expected to consider an amendment proposing weaker improvements in fuel economy standards today. The Levin-Bond Amendment — developed by Michigan Democratic Senators Levin and Stabenow and now presented with broader co-sponsorship - requires a minimum 30% 'ramp up' in fuel economy to a 36 mpg average for cars by 2022 and a 30 mpg for light trucks by 2025. This amendment would weaken the provision currently in HR.6 which would raise combined fuel economy standards for cars and light trucks to 35 mpg by 2020, increasing 4% annually afterwards. Since light trucks currently account for roughly half of all light duty vehicle sales, this 35 mpg by 2020 standard compares to the Levin-Bond amendment's combined 33 mpg by 2025 average. The auto industry has opposed the current 35 mpg by 2020 proposal and has rallied around the Levin-Bond amendment as a suitable alternative. After recessing for the weekend, the Senate will take up the energy package again on Tuesday, June 19th. The debate over the renewable energy standard proposal could reach its conclusion if a cloture motion is filed. The Senate will also consider a package of energy tax incentives the Finance Committee will mark up on Tuesday. Senator Bingaman has said the Senate may approve the energy package next week. The House has yet to begin debating a corresponding energy package, although some components of HR.6, the CLEAN Energy Act of 2007, were passed by the House during the 'first 100 days' push in January. The CLEAN Energy Act, as passed by the House, shifts roughly $14 billion in oil and gas industry subsidies to fund future legislation supporting clean energy investments, including some of the provisions currently in the Senate bill. The Senate chose HR.6 as the vehicle to amend additional provisions to, creating the current comprehensive energy bill currently under debate. A Little Global Warming Humor - Because We Can't Be All Doom And Gloom, All the Time! Apparently yielding to consistent grassroots pressure chastising Barack Obama for his long-held support for coal-to-liquids (CTL) technology as a way to reduce American oil dependence, the Illinois senator and Democratic presidential candidate issued a statement today backing off of his support for coal-to-liquids synthetic fuels. Environmentalists and progressive groups have been hitting Senator Obama with petitions and letters recently, arguing that coal would produce a dirty alternative fuel and exacerbate global warming pollution at a time when we cannot afford to adopt a more carbon-intensive replacement for gasoline. Lifecycle greenhouse gas emissions for CTL synthetic fuels are up to twice as high as gasoline if emissions at CTL plants are not captured and sequestered. Even if carbon capture and storage technology is utilized at a CTL plant, the lifecycle greenhouse gas emissions of CTL synthetic fuels range from only moderately better to slightly worse than gasoline. "Senator Obama supports research into all technologies to help solve our climate change and energy dependence problems, including shifting our energy use to renewable fuels and investing in technology that could make coal a clean-burning source of energy," the email said. "However, unless and until this technology is perfected, Senator Obama will not support the development of any coal-to-liquid fuels unless they emit at least 20% less life-cycle carbon than conventional fuels. [emph. added]"
At issue is legislation, introduced in January by Senator Obama and Senator Jim Bunning (R-KY), that would give the coal industry tax breaks and other incentives to harness the abundant but environmentally damaging natural resource as an alternative fuel. Obama and Bunning have been leading a bipartisan group of senators who have promoted CTL as a way to reduce U.S. reliance on foreign oil. The LA Times reports that Obama's aides described the statement as a "clarification," distributed to correct what they said were false media reports describing the senator's views on the issue. However, that attempt to spin Senator Obama's new position on CTL contradicts the fact that, unlike other CTL legislation introduced on the House side, Obama's CTL bill does not require CTL plants to sequester emissions or have a lower lifecycle emissions intensity than gasoline to receive federal incentives. Obama's “Coal-To-Liquid Fuel Promotion Act of 2007” does provide incentives for plants to utilize carbon capture and sequestration, but does not require it, and the bill would extend loan guarantees for construction and direct loans for the planning and permitting of CTL plants as well as offer investment tax credits and fuel excise tax exemptions for CTL, regardless of the lifecycle greenhouse emissions of the CTL process being utilized. Since producing CTL fuel without sequestering plant emissions is considerably cheaper than the alternative, it is highly unlikely that the bulk of CTL plants supported by Obama and Bunning's proposed legislation would end up utilizing carbon capture and storage. The result would be the expanded use of an alternative fuel with lifecycle greenhouse gas emissions roughly twice as bad as gasoline. Not exactly the kind of green bona fides you would expect from a senator and presidential candidate who has been highlighting his 'strong' position on climate change, a point grassroots activists, environmentalists, progressives [and this blogger] latched on to in letters and petitions questioning Senator Obama about his support for CTL. Other environmentalists point to the destructive impact of coal mining, including the strip mining and mountain-top removal widely practiced in the United States, as reason to oppose expanded use of coal for fuel, regardless of it's impact on climate change. Obama's recent statement has sparked confusion among coal industry officials, who until Tuesday had viewed Obama as an ally on the issue, and drew cheers from environmentalists, who described it as a good step forward. "What we're seeing, particularly with Obama's statement, is that there's a race to the top among the Democratic candidates for the strongest position on how to solve the climate crisis," said Ilyse Hogue, campaign director for the progressive advocacy and active 'netroots' group, MoveOn.org, which was one of several groups waging a petition drive opposing the coal legislation. This is a great step forward for Senator Obama, and more evidence that the right combination of grassroots pressure, online petitioning and letter writing, and hard work on the ground can work to shift candidates' and legislators' positions on climate change issues. There is clearly a lot of work left to be done, and its only going to be more and more important for those of us expecting strong leadership on climate change from the 2008 presidential candidates to keep up the pressure as the election progresses, particularly during the primaries. As far as Senator Obama's position on climate change goes, it seems obvious to me, but bares stating that just because Obama is apparently no longer supportive of coal-to-liquids unless it is at least 20% better on a GHG-intensity basis than gasoline doesn't mean he is fully committed to the kind of comprehensive action to tackle climate change we're going to need from our next president. This is a step in the right direction for Obama, but we're going to need to keep the pressure on him and make it clear that this isn't enough. Obama has still yet to distinguish himself with a very comprehensive or innovative energy and climate change strategy and his policy proposals on his websites' energy and climate page displays the kind of incremental, 'inside-the-box' thinking that doesn't inspire much confidence in me at this point. And while he has now committed to supporting the Boxer/Sanders-bill calling for an 80% reduction in emissions by 2050, he originally only supported the much weaker (and insufficient) McCain-Lieberman bill and didn't sign on to the Boxer/Sanders bill until four months after the bill was introduced and 11 other senators had already co-sponsored it. (The same can be said for Senator Clinton as well; John Edwards was the first major candidate to support the 80% by 2050 goals). The question really is this: is Obama - or any other candidate for that matter - exhibiting leadership on climate change, or followership? Is he proactively leading our country to solving the climate crisis, or is he simply responding to grassroots pressure from folks like us who he knows are going to be a key part of his primary election voter base? What we need is a strong leader, someone committed to making a bold and aggressive greenhouse gas reduction goal the centerpiece of his or her campaign and presidency. The next president of the United States will not only have to deal with undoing eight years of heel-dragging and back-sliding during the Bush Administration, but will also have to lead our nation and the world to tackling climate change, a monumental task requiring a true leader. If, by the end of the next president's term in 2012, the United States doesn't have a comprehensive greenhouse gas reduction plan well in place and we aren't leading an international response to the climate crisis with buy-in from developing countries like China, India and Brazil, we're basically sunk - we'll be too late to adequately respond to climate change and we'll be faced with adapting to a drastically different - and harsher - world. That's why this election should be SO important to anyone concerned about climate change and the fate of the planet. We need to take a close look at both the leadership skills each candidate has exhibited as well as the specific policies they have proposed. Look past the 60-second sound bites and stump speeches and really take a look a their voting record and issues page on the websites. Steve Kirsch has done some pretty detailed delving into the positions of the three major democratic candidates - Obama, Clinton and Edwards - and what he finds may be interesting to you. 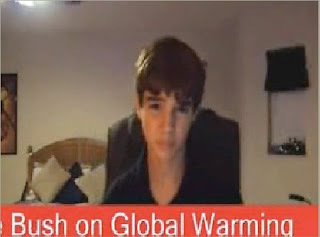 Climate change should be THE issue of the 2008 elections and deserves your attention. Put each candidate to the test and see if they're up to leading this country and the world to quickly and boldly solve the climate crisis. And in the meantime, we should keep up the pressure on Obama and the other candidates and hopefully help transform each of the candidates into champions of climate solutions. Clearly we're making progress, and wherever a candidate is, they can certainly afford to be pushed further to take bold action on climate change! Santa Clara, Calif.-based Solaicx on Tuesday announced plans for a Portland facility to make silicon wafers for the solar-power industry, a win for Oregon officials eager to promote clean-energy development. The company, which has leased a 136,000-square-foot facility in the Portland Rivergate District, said the operation would employ 100 by the end of the year. "We looked at the state of Oregon's generous financial incentives for renewable energy and Portland's deep base of skilled labor in silicon manufacturing, and decided that the port is an ideal place for our continued growth as a company," said Jeff Jones, Solaicx vice president. State officials applauded Solaicx's announcement, offering it as further evidence Oregon is poised to take advantage of clean-energy technologies. The state "is on track to become the national leader in renewable energy," Gov. Ted Kulongoski said in a statement. Just two months ago, Germany's SolarWorld AG said it would invest $400 million in a plant in Hillsboro to set up the nation's largest solar manufacturing facility (see previous post). A new comprehensive energy package is being debated on the Senate floor today. 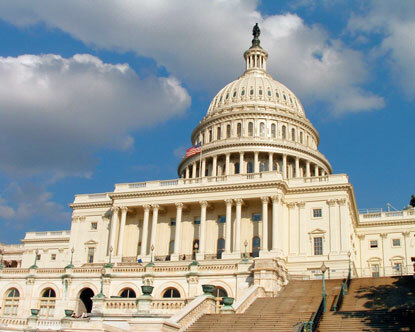 The legislation incorporates a number of previously introduced bills and work from four different Senate committees and is being presented as an amendment to HR 6, the CLEAN Energy Act of 2007 previously passed by the House in January during the 'First 100 Days' push. The CLEAN Energy Act shifts roughly $14 billion in oil and gas industry subsidies to fund future legislation supporting clean energy investments, including energy efficiency and renewable energy. support for the development of energy storage systems and electric vehicles. Green Car Congress has a good description of the various components of the energy package, which was originally introduced as S.1419 (debate on the floor today was on an amendment to HR 6 however). A number of amendments will likely be offered to expand or limit the scope of the energy package as it is debated over the next several days. As usual, various senators have different takes on each major component of the energy package. Senate Majority Leader Harry Reid (D-NV) says he hopes to have debate wrapped up in five days to allow the Senate to move on to defense appropriation spending bills. Update 12:20 pm PST, 6/15/07: Green Car Congress has diligently posted an update summarizing the literally more than 100 amendments proposed to the CLEAN Energy Act, HR 6. Clearly, not all of these will receive a vote, but check out the table to see what has been voted on so far, and get an idea of what's to come in the debate, which will continue on Tuesday. Senator Jeff Bingaman (D-NM), chairman of the Senate Energy and Natural Resources Committee, is expected to propose an amendment today or tomorrow that would establish a nation-wide Renewable Energy Standard (RES) requiring utilities to obtain 15% of their electricity from homegrown, renewable energy sources by 2020. The standard would not preempt states that have set more aggressive state Renewable Portfolio Standards. Senator Pete Domenici (R-NM) has also circulated a competing 'clean energy standard' that would allow utilities to claim credit for nuclear power and some 'advanced' fossil generation technologies, including potentially coal-fired generation with carbon capture and storage. Senator Mary Landrieu (D-LA) is also circulating an amendment that would lower Bingaman's proposed standard to 10% by 2020. Update 12:15 pm PST, 6/14/07:Domenici's 'clean energy standard' amendment was tabled (killed) this morning by a vote of 56-39. Unfortunately, Republicans, led by Senator Domenici, are shamefully threatening to filibuster (require cloture) the Bingaman renewable energy standard amendment and supporters do not currently have the 60 votes needed to break the filibuster. You can find your senators’ contact info here. There are also several competing fuel economy proposals and the auto industry has vigorously opposed the 35 mpg by 2020 proposal included in the current energy package and originally introduced by Senator Dianne Feinstein (D-CA) as S.357 (see image below). Automakers have deemed the 35 mpg by 2020 proposal unworkable, and are leaning toward a more lenient proposal being developed in the House by Representatives Rick Boucher (D-VA) and John Dingell (D-MI) and in the Senate by Michigan’s two senators, Carl Levin (D-MI) and Debbie Stabenow (D-MI). Under the Boucher/Dingell and Levin/Stabenow plans, cars and trucks would maintain two different fuel economy standards. The standard for cars would increase to 36 mpg by 2022 while the standard for trucks would increase to 30 mpg by 2025. At the current roughly 50/50 split between annual passenger car and light duty truck sales, the Boucher/Dingell and Levin/Stabenow plans would equate to a roughly 33 mpg standard by 2025. The Boucher/Dingell bill also reportedly bars states from implementing greenhouse gas limits on vehicle emissions. This would preclude California and the growing number of other states adopting California tailpipe emissions regulations (see previous post) from acquiring the waiver from the EPA required to implement the greenhouse gas limits on new vehicles (see previous post). EPA recently concluded a public comment period on whether or not to grant California the waiver needed to implement their new tailpipe standards. I know that the auto industry is still wavering on this issue. I met with the CEOs of the big three automakers last week, and here is what I told them: The debate on raising CAFE standards should be over. It will happen. Despite the competing proposals and opposition from the auto industry, the 35 mpg by 2020 proposal survived the first day of debate today, to the praise of Senator Domenici and others. The Senate debated today over whether or not to set reduction goals for gasoline consumption alone, or for oil consumption in general. Senators Norm Coleman (R-MN), Joe Lieberman (I-CT) and Evan Bayh (D-ID) proposed an amendment that would change the focus of the consumption reduction targets to oil reductions, rather than just gasoline consumption. The three senators all pointed out that gasoline consumption only accounts for roughly 60% of U.S. and since the issue is oil dependence rather than gasoline dependence, a focus on oil reductions is more appropriate than a focus on gasoline. Senator Domenici, who led the floor debate on the bill today, strongly opposed simply setting targets for oil reductions and pointed out that the fuel economy reforms and alternative fuel standards in the current energy package would actually achieve real reductions, rather than just set goals. "They don't save one single drop of gasoline ... they are simply goals, things we would like to do," Bingaman said of the Coleman/Lieberman/Bayh amendment. The Coleman/Lieberman/Bayh amendment (Amendment 508) replaces the gasoline reduction targets section of HR.6 and would instead require the Administration (the Office of Management and Budget, or OMB) to develop and publish an action plan to cut oil consumption in the United States by 2.5 million barrels per day by 2017, roughly equivalent to the total current imports of oil from the Middle East. The amendment also targets a reduction of 7 million barrels per day by 2026 and 10 million barrels per day by 2031. The OMB action plan should consist of a federal government-wide assessment of existing and potential federal programs and policies authorized by law upon the adoption of HR.6 to reduce oil consumption and should detail the expected oil savings to be accomplished by each program such that the overall plan achieves the specified oil consumption reduction targets. The amendment also authorizes and directs the secretaries of federal agencies (Departments of Energy, Agriculture, Defense, Environmental Protection, etc.) to implement the policies recommended by the action plan. If the policies and programs adopted by each federal agency are not sufficient to achieve the reduction targets specified under the action plan, the secretaries of those departments are directed to establish new policies and regulations to achieve the reduction targets. 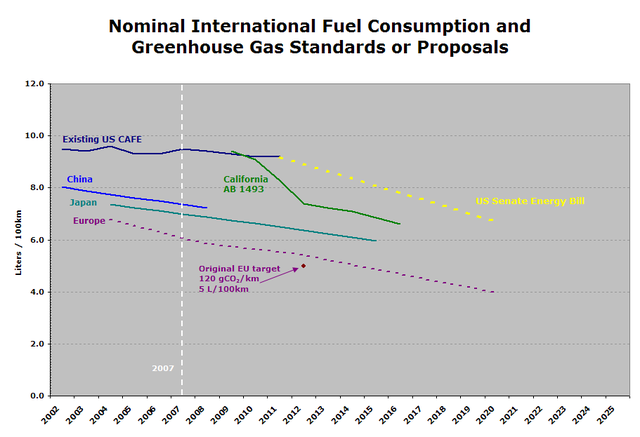 While I agree with Domenici's statements about real reductions versus goals, I don't see how changing the gasoline reduction goals currently in the bill to an oil reduction goal harms the integrity of the current energy package at all. In fact, directing the heads of federal agencies to promulgate policies that reduce oil consumption could only aid the overall goals of the energy package. Domenici's rather consistent opposition to this amendment is a little inexplicable to me. Update 5:00 pm PST, 6/12/07: the Coleman/Lieberman/Bayh amendment was adopted at the close of today's debate, 63-30. The current energy bill establishes a renewable fuels standard of 36 billion gallons per year by 2022. The standard includes a requirement for advanced biofuels, which does not include ethanol derived from corn starch, to meet 60% of the total renewable fuel requirement by 2022. The bill includes incentives for advanced biofuels, including cellulosic ethanol, such as grants for infrastructure development, and financial support for research and development. The current RFS specifies 7.5 billion gallons of renewable fuel by 2012. Several bills have been introduced this session that present alternatives to the renewable fuels standard approach. These include support for alternative fuels, which would include synthetic gasoline or diesel fuels produced from coal or natural gas, along with the renewable biofuels included in the current RFS proposal. Senator Barak Obama (D-IL) has proposed support for expanded Coal-to-Liquids fuel production and is expected to offer his bill as an amendment to the energy package. A Low-Carbon Fuel Standard, modeled after the standard adopted in California earlier this year (see previous post) has also been proposed by Senator Obama and could be proposed as an alternative to the RFS included in the energy package. The 'comprehensive' energy package is a good start for a Congress that is finally getting down to addressing America's energy dependence. There are however several missing components. The bill does a good job beginning to address oil consumption in the transportation sector, with improved vehicle fuel efficiency and expanded use of renewable fuels. The bill should, in my opinion, have more of an emphasis on plug-in hybrid electric vehicles, but it does provide some expanded research and development support for advanced batteries and electric drive vehicles. Also missing are strong national energy efficiency standards for lighting, appliances, industrial processes and building codes which would greatly reduce the consumption of electricity and natural gas in the United States. And of course, the glaring absence is the lack of any policies specifically addressing climate change. It seems that climate change legislation will likely move as a separate package of legislation, perhaps providing another chance to remedy the shortcomings of this 'comprehensive' energy package. Still, this bill is a good start, and it's refreshing to see Congress begin to address these pressing energy issues. Let's see how this bill, and a corresponding package on the House side, fairs as it moves through Congress.